Subaru dropped the first hints of the all-new 2020 Legacy which will be unveiled to the world at the upcoming Chicago Auto Show next week. From the shadowy teaser photo shown by Subaru, it’s safe to assume that design-wise, it’ll stick close to the current model. The big news though is its shift to the Subaru Global Platform which will improve both its performance and comfort. Inside though is where things get interesting. 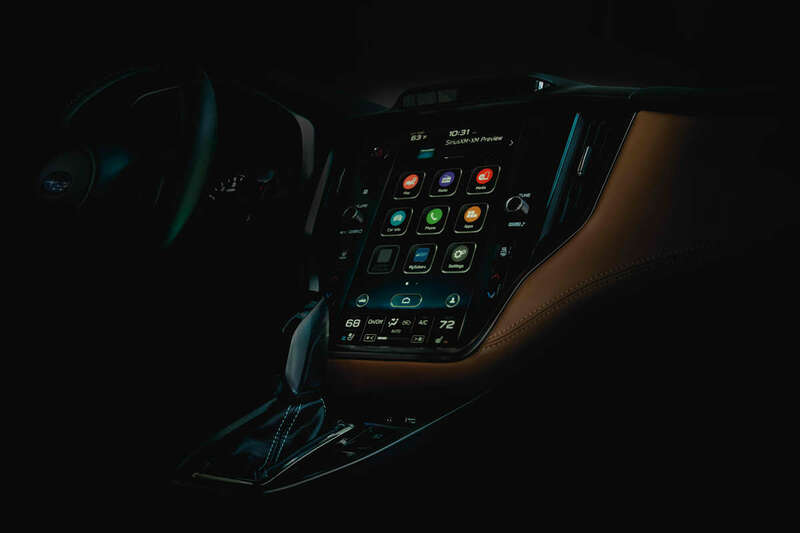 The 2020 Legacy will look to gain a giant tablet-like infotainment system similar to what’s on the Volvo SENSUS or Tesla models. With that, the Legacy may make do without physical controls to functions such as climate control. 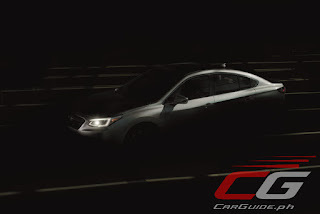 Performance-wise, Symmetrical All-Wheel Drive and the Lineartronic CVT will be givens. The engines will likely be a normally-aspirated FB25 already found in the Forester. Hopefully, Subaru will also give the world a sportier variant powered by the FA24DIT engine found in the Ascent. Let’s find out on February 7. Think twice before buying a Subaru! They are not inspecting the cars before rolling out the plant. When a part breaks they tell you the part is consumable and not covered by warranty. We bought a 2017 Forester, a little over 1 year after the control arm bushing of of both sides of the car goes bad. Now they are charging me P10k to replace it because they say it's not covered by warranty. By comparison, our 2009 Montero Sport's control arm bushings has not been replaced up to now. So, think twice about Subaru-it is a poor quality brand with bad after sales warranty. That sµx it should still be under warranty. How many kms bago nasira? Lifted? Buti 10k lang at di nasira lower control arm mo. 20,000 kms. unmodified at normal use lang. Casa said bushings are consumable kaya wala warranty. If control arm daw nasira covered ng warranty. WTF? Eh, wtf nga. If you waited long enough the lower control arm will eventually break but then again it might cause more damage. Dapat may warranty 20k lang sira na eh. Hopefully your new bushing will last at least 50k. If not try using SH bushing mas matibay daw (forums) kesa SJ pero baka mas matigas. That is horrible quality by Subaru. I was planning on buying the new Forester as my next car. Naka pag isip tuloy ako baka kinatay sa casa yung bago ko bushing pinalitan ng luma! @Cocoy, may news report that Subaru vehicles for export are not subjected to quality control inspection at the Japanese plants. So kahit may defect ilalabas pa din. @Cocoy known issue talaga ang bushings ng Forester SJ lalo after 2015. I doubt maayos sa latest model (SK). Expect it to break as early as 20k based on @Jay lalo sa condition ng roads natin. Unfortunately premature wear ng bushings hindi honored ng warranty unlike sa ibang bansa. Get the new RAV4 or Sportage instead lol.